Find out more about this spirited take on immortal love. Film critic Anupama Chopra reviews Phillauri starring Anushka Sharma, Suraj Sharma and Diljit Dosanjh in this week's episode of "Film Companion: Movie Reviews". 'Phillauri' is a highly polarized film. I've read reviews that are really good to downright terrible. I, somehow, liked this odd little film, despite its shortcomings. This Fantasy Romantic-Comedy is inconsistent & over long, yet its a sweet tale with a clean heart. 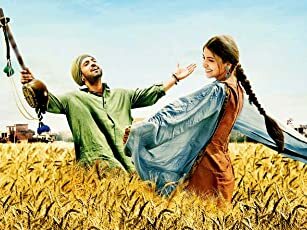 'Phillauri' Synopsis: A man must marry a tree to ward off threats to his love-life, but the tree turns out to have more spirit than the man bargained for. 'Phillauri' has an interesting premise & it makes good use of it. The first-hour is more on the comedic side & the laughs are register. The tale of the ghost & the henpecked leading-man is amusing. Its the second-hour, where 'Phillauri' takes in flaws in heaps. The old-age love-story of Shashi & Phillauri isn't arresting enough, although there is a certain earnestness to it. The contemporary love-story of Kanan & Anu, works far better & scores on its humor. But, the biggest letdown here is the culmination. Its overstretched & unconvincing. What starts off as a light-hearted, slow-moving story about lovers, turns into a really long story of departed souls. As mentioned before, the first-hour works, but the second-hour doesn't arrest beyond a point. Sure, 'Phillauri' is far from perfect, but what I liked particularly here is the breezy & lighthearted tone. Anvita Dutt's Screennplay is sweet, but needed some trimming & a more consistent tone. Had the Writing been more crisp, the overall result would've been a lot more effective. Anshai Lal's Direction is simplistic. Cinematography, Editing & Graphics, are decent. Art & Costume Design are excellent. Shashwat Sachdev & Jasleen Royal's Score is good. Performance-Wise: Anushka Sharma shines as Shashi, the friendly ghost. She's very sincere in her portrayal. Suraj Sharma as the henpecked Kanan, springs a pleasant surprise. The actor is terrific & displays his gift for physical comedy. Diljit Dosanjh as Phillauri, is restrained. Mehreen Pirzada as Kanan's fiancé, is wonderful. 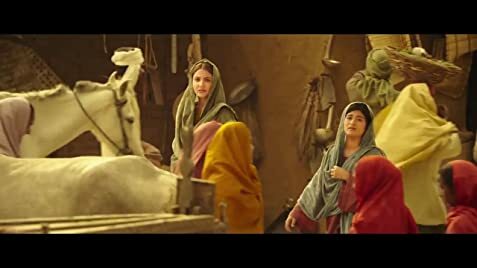 On the whole, 'Phillauri' may not work for all, but it did for me. For a large part of it.